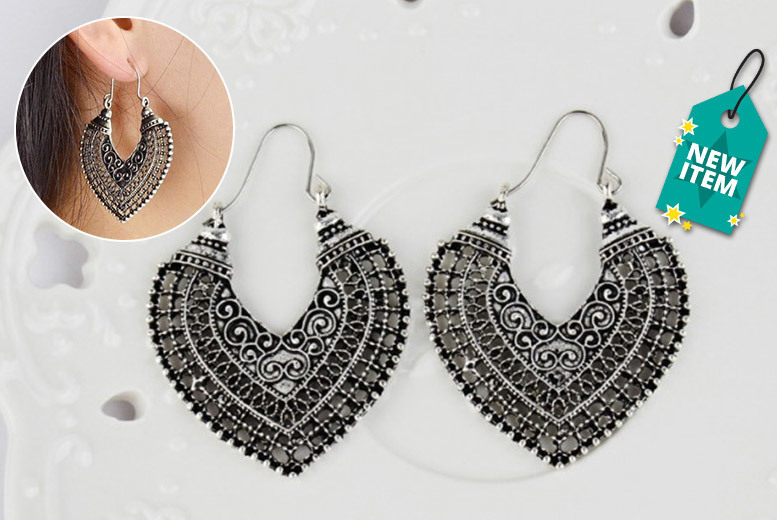 Get a gorgeous pair of silver-coloured hoop earrings. In a lovely antique design for a vintage feel. With an intricate and delicate pattern. A timeless and elegant pair of earrings. Dimensions : 5.8 x 3.8cm A thoughtful gift for special occasions.